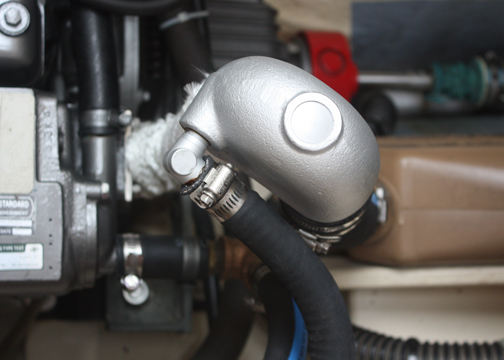 Engine Modifications – April to July 2013. 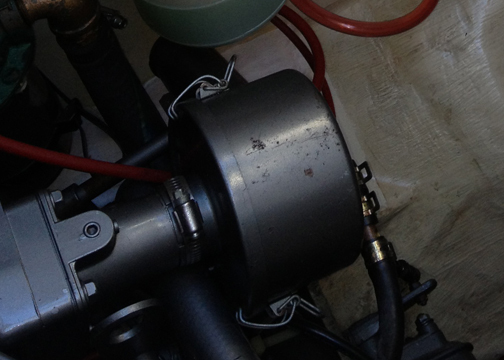 Remove hot water heater – Takes up space, requires the running of the engine to heat, and we will use too much water if we shower with the pressure water system. We will be using a pressure sprayer with water heated from the stove for showers or our solar shower. Archaic, but simple. Besides, I have nowhere else to mount the watermaker motor. Replace coolant hoses - Since I was removing the hot water lines, this was a good time to replace all of the old coolant hoses, the raw water pump, and coolant. The hoses are in decent shape, but it seems like a good time to replace them and keep the old ones as spares. 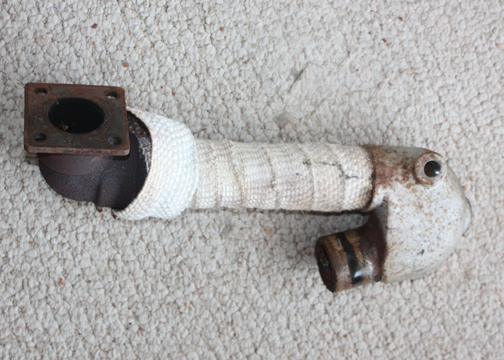 New Exhaust Riser and Elbow - Even though my exhaust riser and elbow looked to be OK they tend to rust internally and cause big problems, so I ordered a new one from Pacific Seacraft. After I pulled off the old one, I was not surprised to see alot of internal rust and some buildup. The new stainless riser, while pricey, is pretty nice looking, fit perfectly, and should last for a long, long time. Engine Paint - The engine looked pretty good, but some of the paint had flaked off and rust was forming in a few places, so we brushed off the loose paint and repainted what we could access with Yanmar grey engine paint. 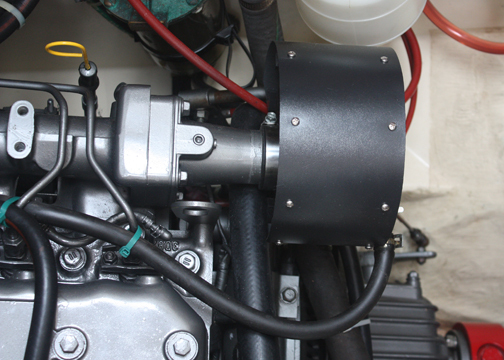 The engine is now shiny and looks like new again. Air Cleaner - A few years ago we attended a Pacific Seacraft factory event, and they had brought in a local mechanic that talked about the importance clean air for diesels. He went on to recommend replacing the factory air cleaner with a standard K&N filter. 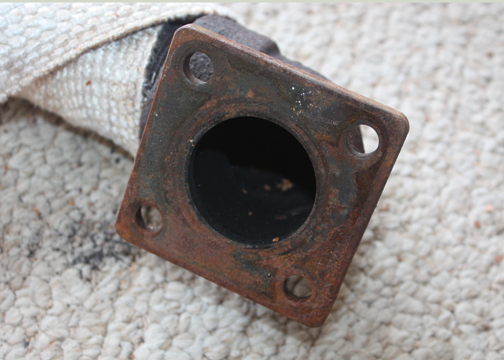 After measuring the air intake pipe diameter it was easy to find a generic K&N filter that would fit. The particular one I found was $35 on K&N’s website, but was on sale at Amazon for $9.95 with free shipping. I wanted some sort of housing for it to keep water from dripping into it, so I made a simple one out of thin Kydex and some black Starboard. 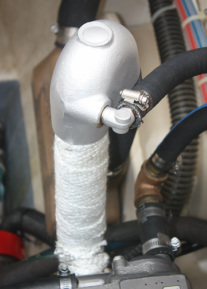 The filter element is washable and should last for as long as I own the boat. Rusted and flaking with growth inside. New air filter and cover.